Sneaky sheep right at the end, getting a nibble that they don’t see. . I like how the dogs are so well-trained and know what they’re there to do. And they do it with German precision. 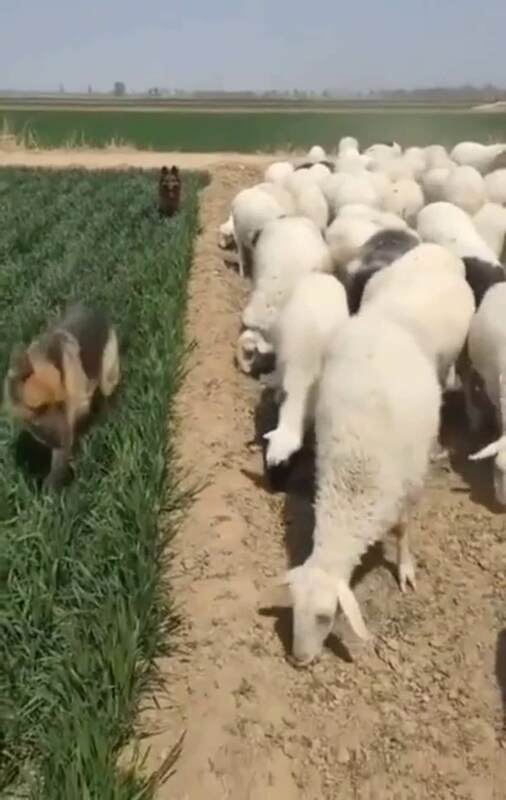 Yup, the sheep that eat the greens always quietly disappear and the other sheep pretend they don’t know what’s going on.